Microsoft’s Don Mattrick somewhat echoed what Sony said during its PS4 event. The company wants the Xbox One to be the center of all your entertainment. Where all of your entertainment comes alive in one place. To continue to lead, we must provide compelling answers to new questions. The console was shown off alongside a new gamepad controller as well as a new Kinect motion camera. 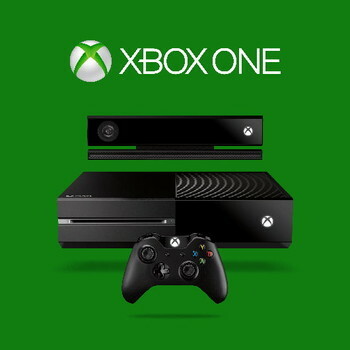 In terms of additional hardware specs, the Xbox One comes with an eight-core processor based on AMD's Jaguar design. It comes with 8GB of RAM, the better to compete with the PS4 with (although it will be DDR3 as opposed to the PS4's GDDR5). It will come with a 500GB hard drive -- actually smallish by today's standards, USB 3.0 ports, and WiFi Direct for communicating with the new controller and other devices. It will also include HDMI 1.4 output and passthrough. Since the Xbox One is -- as is the PS4 -- switching to an x86-style architecture, backwards compatibility with Xbox 360 games will be precluded. Screenshots from Microsoft's Media Kit are available here.